When we think of dragons we're usually all about the fantasy and the magic and the completely improbably breathing of fire. I mean, seriously, what kind of evolutionary rabbit hole did dragons dive down to end up breathing fire? And where does all that energy come from. Yeah. I'm a scientist. And, apart from anything else, dragons are usually too big to go down rabbit holes. Unless the rabbits are very big. In fact, dragon-sized. Is this going anywhere? Yes. Stay with me. My first publishable book, written over 20 years ago now, was a fantasy book. Pure second-world fantasy. In a world I created from scratch. It doesn't have elves or dwarves or mermaids or vampires or, in fact, dragons. What it does have is evolved dinosaurs and, alongside them, humans. Like I said, I'm a scientist - at least in outlook if not qualifications - so I started with a world where magic is potentially inherent in everything, and where dinosaurs evolved but were not wiped out by some cataclysmic event. What did I get? A world with some pretty weird creatures, although many are familiar. Most people ride kichesa (dinosaurs) but horses exist and have been tamed. Many evolutionary niches are occupied by dinosaur-based creatures instead of their mammal equivalents. There are no dogs (but you might own a zichak) but there are wolves. However wolves cannot be tamed because each pack is held together by a magical bond. They are essentially one organism. And those aren't even the weird ones. Which brings us to my book series The Dragons of Esternes. The Zirichesa (yes that is a very specific naming scheme - for reasons) are not your dragons of lore. They are feathered wyverns. Which means they have four limbs (legs and wings), and they walk the way we think pteradons walked using their elbows when needed. But the ziri are beautiful and wonderful. They are fierce and intelligent. They may not breathe fire but they are magical. And the slave-girl Kantees loves her ziri. Even when he drags her out in the middle of the night to set her on and adventure into freedom. 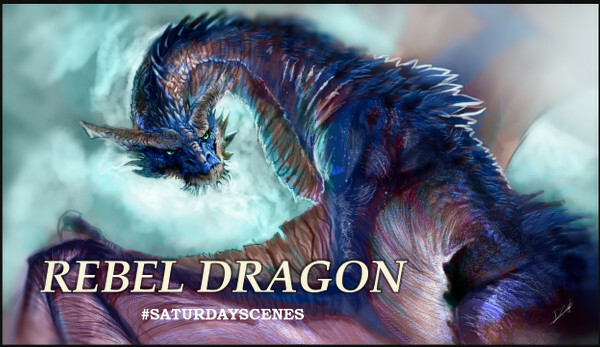 REBEL DRAGON is the first book in the Dragons of Esternes story. But if you can't wait until April for On the Horizon why not read the first book in the Patterners Path series: ELONA.